I had the opportunity to sneak off into my craft room over the weekend in between weeding the flowerbed and yard work and housework. While I was in there, I reviewed the retirement list again and decided to "say good-bye" the best way I know how, and that is to show these wonderful stamps and products some "love" By using them. 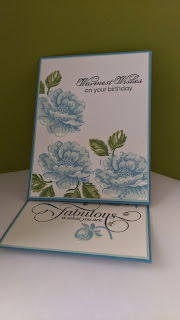 Over the next few days I will be sharing my examples using these retiring products. 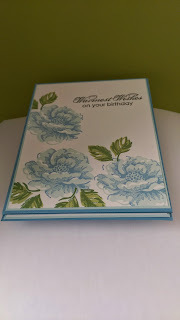 Here is today's example: An Easel card using "Stippled Blossom" and "A Million and One", both beautiful stamp sets. 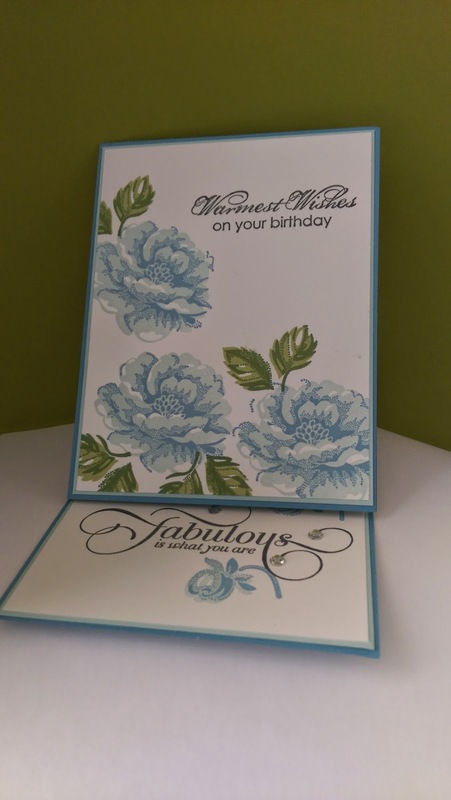 The sentiment is from "Blooming with Kindness" another beautiful set going away June 2nd.